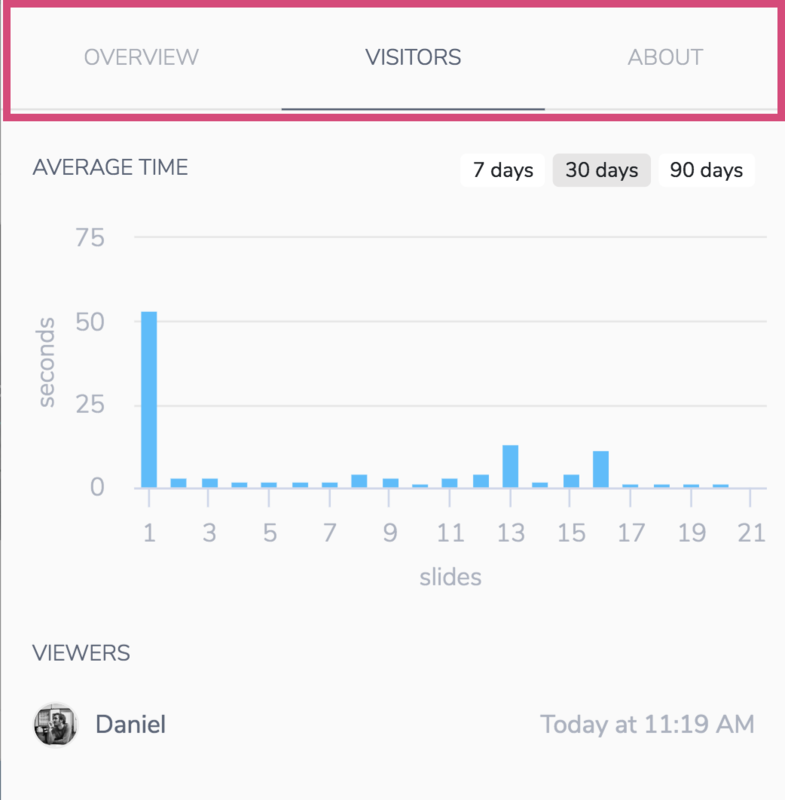 After importing your slide decks into Slidebean, you'll be able to share them online to monitor views and other activity stats from your viewers. 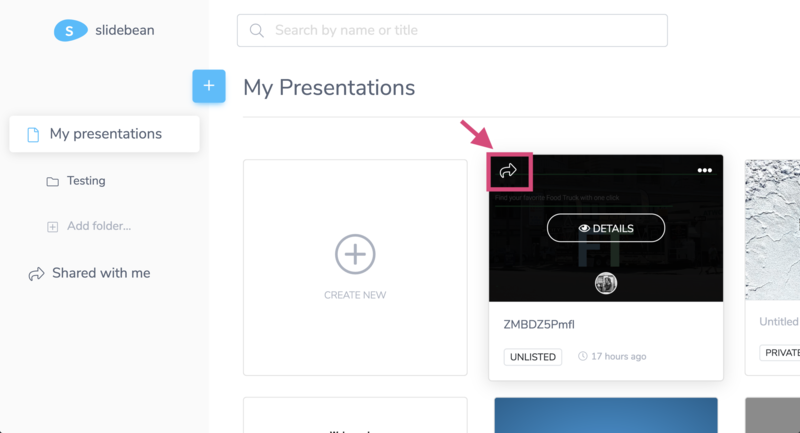 Uploaded presentations are found among your Documents, in the dashboard home page. Hovering over the deck will show you the available actions, keep in mind that editing uploaded documents is not available. Find the Share button on its top left corner. 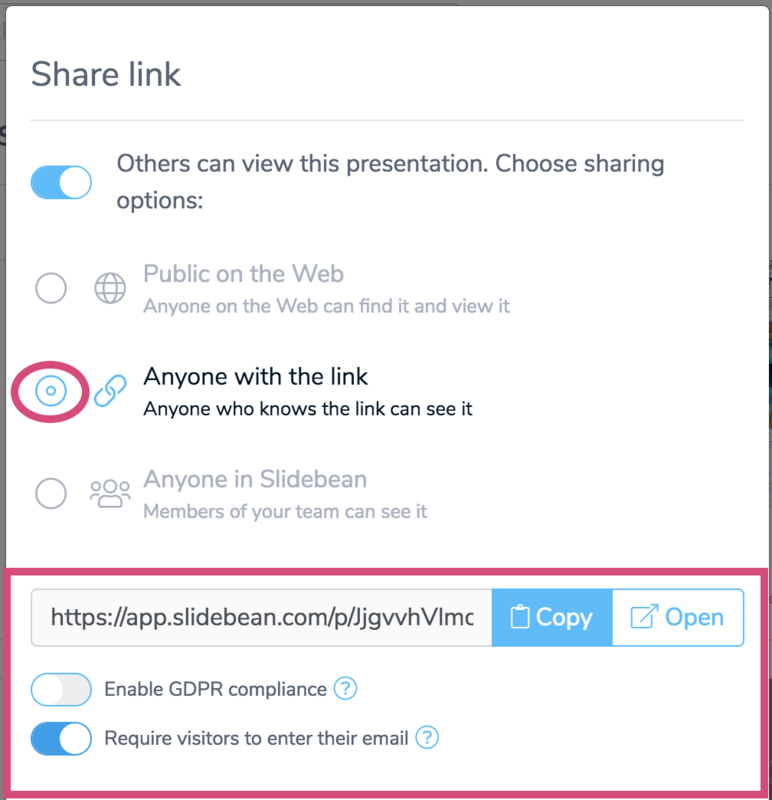 By default, uploaded presentations are Shareable by link as each presentation has a URL link that can be copied and shared. Anyone with access to the link will be able to see the slides and you can also make them private, by disabling the "Others can view this presentation" toggle. When sharing your presentation URL, you can require viewers to enter an email address, so you can track individual details for each view, otherwise, views will be logged as Anonymous. For more details about Sharing, you can check this article. 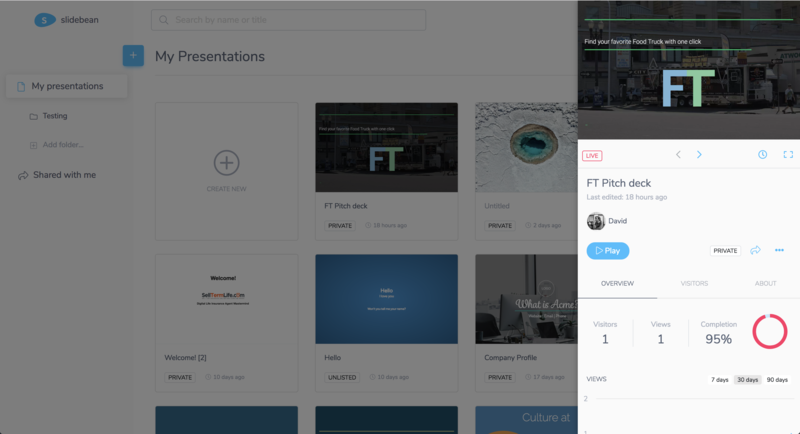 Once you've shared your presentation, Insights will show you the visits and stats for each view as well as an overview. You can access this from the dashboard, by hovering over the deck and clicking on Details. A side panel will show up in your screen for you to review the details from this screen. Three different tabs will show you the details of Overview, individual Visitors and you can also see and edit the deck's details in About. Both, the Overview and individual Visitors, will display a graph for you to visualize the details. Find out more about the Insights analytics dashboard here.